Our Chapter Advisors are part of our strategy to reach young professional women with the gospel. Our attendees desire to connect with a spiritually mature, professional woman who is a few steps ahead of them in the workplace. They don't want programs, curriculum or a schedule full of one-on-one meetings; they want a personal connection with you. We will pair you with one of our table leaders each semester and ask you to join her at the luncheon, join in the table discussion when appropriate, and make yourself available to any of the women at your table who reach out to you for prayer or other advice. Encourage and pray for your assigned table leader for the semester. Encourage and pray for the attendees at your table. 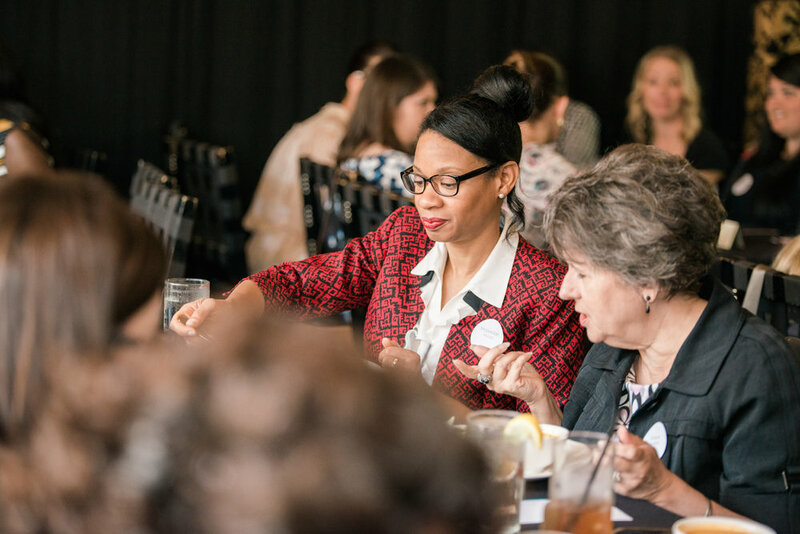 Be an advocate for Polished by attending various Polished events during the year outside of the monthly luncheons. Share your experience and the Polished mission with other potential supporters of Polished. Encourage and invite young professional women to attend a Polished luncheon. Complete and submit the Chapter Advisor Application below. Thank you for applying to be a Chapter Advisor! We'll connect with you shortly about next steps.